Happy Birthday to Warren Zevon, whose graveled voice I never truly appreciated until his final album was released just before his death in 2003. Known for his pithy, sardonic wit in song and social commentary – enjoy every sandwich, his oft-quoted insight on dying which would later become the title for the first of two posthumous tribute albums, is a terse encapsulation of that observational mastery which shines through his back catalog – the man who released just twelve studio albums in 35 years was nonetheless a respected mainstay of the rock circuit, celebrated by his peers and critics alike, even though all but two of those albums never rose above the top 20 in Billboard sales charts. 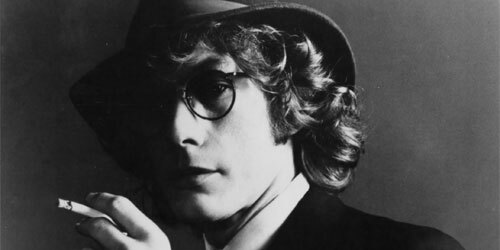 Like many artists who poured their body and soul into the industry, Zevon had his demons. The measured success of 1978 album Excitable Boy was followed by a descent into drug abuse and alcoholism, several failed relationships, and, eventually, the loss of his major label support after his ability to produce more hits turned out to be unreliable. The resultant stripped-back sound he brought on tour through much of the nineties was as much a function of his inability to pay for a full band as it was an attempt to strip bare the songs he had written. His posthumous Grammys were merited, for sure: The Wind is a potent album, and a contemporary folk gem. But it’s hard to argue that his path was clear, or his talent always evident, in every note, or indeed every album. Still, Zevon was a storyteller of the first order, and stories told well make for powerful folk narrative: Roland The Headless Thompson Gunner, for example, is a murder ballad plain and simple, modern in language but timeless in melody and sentiment, and Naomi Bedford’s recent version of the song evokes its traditional structure and trope quite well; Mohammed’s Radio is political but childlike in its observations, as cryptic and direct as a Dylan opus, and The Matthew Show’s slow folk rock is apt. His work in collaboration with Jackson Browne, who co-wrote Shawn Colvin hit cover Tenderness On The Block, is legendary and worthy of its acclaim. And his existential pop hit Werewolves of London, though more often covered as a sort of gleefully crashing bar band encore – and here given the live polka treatment by The Garbonzos – is actually quite a potent commentary on the trappings of fame and fortune. Sure, most of the coverage one can find comes from the same two or three albums which represented the peak of his career, even if it comes in diverse measures, from the avant electro-folk echoes of Ivory Library to Counting Crows frontman Adam Duritz’ country ballad Carmelita, from Freddie White coming on like the Irish Greg Brown in a low, mellow take on Accidentally Like A Martyr to the oddly gentle slide guitar occasional Zevon co-conspirator David Lindley brings to violent oddity Play It All Night Long. But it’s his late-career singles, the tender, wistful Don’t Let Us Get Sick and the sparse couplets and plaintive repeated refrain of Keep Me In Your Heart For A While, written when he was already dying of cancer, that catch in my heart. It takes a true adept to look death in the face and head into the studio. That such tenderness resulted is a stunning testament to Warren Zevon’s life and craft.